Arbutus Breads are named after the renowned Cork Hotel, with which Declan Ryan and his family were associated for many years (it was sold some six years ago). Declan's initial training was in hotel management and his background in fine food is impressive. In 1996, he trained at the French School Boulangerie and soon afterwards started up Arbutus Breads making them in a converted two-car garage with one employee and taking care of deliveries himself in a jeep. In 2003, he was appointed to the Academic Council of the Dublin School of Baking and the Artisans Committee of the Food Safety Authority of Ireland. The bakery has grown and because they cannot meet the demand from their existing premises Arbutus Breads applied for and have recently been approved in principal for a grant towards the cost of a new bakery that will allow them to mechanise the production, without diminishing the quality of their bread. That, of course, is what Arbutus breads is all about - making the finest quality, traditionally crafted real breads to supply a niche market that, on foot of a growing consumer awareness of the difference in flavour and texture of artisan bread, is growing at the rate of 25% a year. Breads are made to recipes unchanged since the introduction of yeast, breads made without any chemical additives or improvers whatsoever; breads allowed to prove naturally and slowly (up to 24 hours in the case of pure sour-dough loaves). 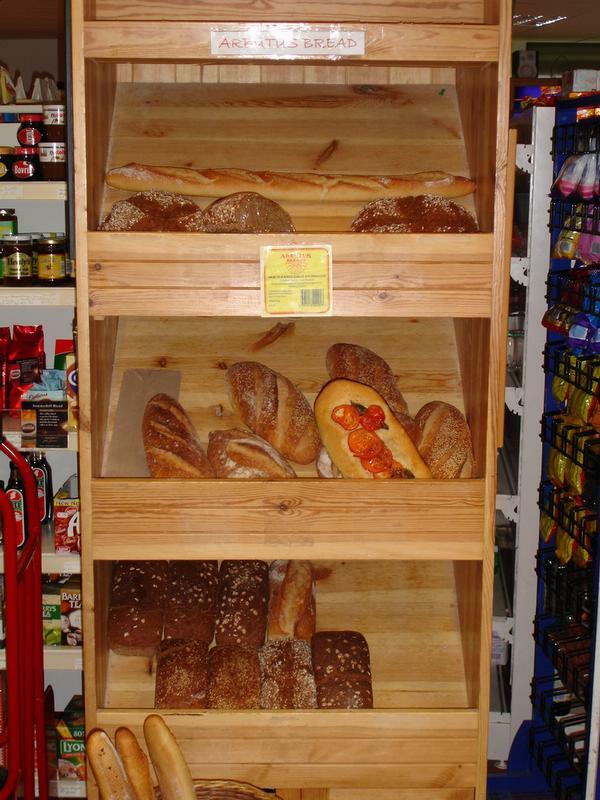 The range includes whole meal, white and New York rye sour-dough, white and wholemeal and spelt yeast breads, baguettes, and other interesting breads using additional ingredients like walnuts, red wine, tomatoes and herbs. And we must not forget traditional West Cork soda cake. Over half of the bread is sold to delicatessens, over a third through their own stall and agents selling at farm and country markets and 18% to restaurants.